This entry was posted on Thursday, December 26th, 2013 at 12:39 pm and is filed under Uncategorized. You can follow any responses to this entry through the RSS 2.0 feed. You can leave a response, or trackback from your own site. Thanks for the write up! Very helpful! Thank you very much, works perfectly!! I’ve used this method to upload in situ to an arduino that’s reading pulses from an RC receiver. When i use inotool to upload, the pulses are read incorrectly (longer). The exact same sketch works fine when uploaded over USB directly from a linux laptop running the arduino IDE. Any ideas on why this might be? I’ve seen another guide online for setting up ino on a RPi, and it doesn’t involve any of the library reshuffling that you do here. Any more info on this would be good! Thanks for instructions – works perfectly! Hi, thanks for the instructions. I just had a question about the other option you mentioned to remotely program an Arduino. Do you have any samples or links to forward the serial port over the network? I would rather code and compile my code in Windows and then send it to the Raspberry Pi proxy. But I can’t find any examples of that. Any pointers would be appreciated. Thanks! -A lower level solution, where the Arduino IDE isn’t even aware the upload is being proxied through a network. You would setup a fake serial port in the Windows machine, which would go to the RPi and loop-back into a real serial port, and into the Arduino. Try googling “serial port proxy”. 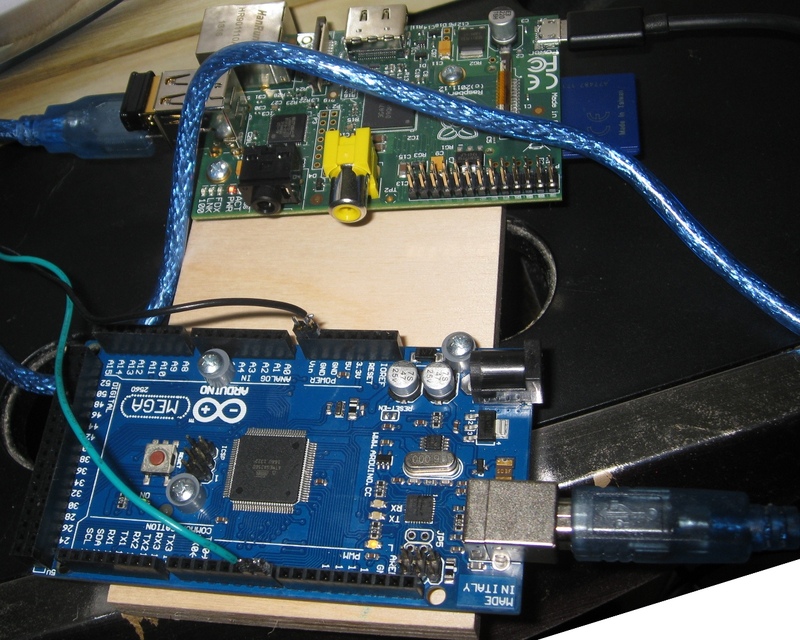 -An Arduino Yun based solution, where the Arduino IDE believes it’s talking to a Yun (or something using the same protocols), and where the RPi would implement the missing protocol on the Arduino side to make it act like a Yun. All these protocols are open source, so it should be doable. -A more general version of the previous solution. The Arduino IDE can handle different types of programmers, you could implement your own which just uploads to the RPi. Then the RPi looks for uploaded files, and calls avrdude to program the Arduino.